If you have any questions about the CHOSEN ONE information page below please contact us. CHOSEN ONE was previously registered as project/yacht name 2411. 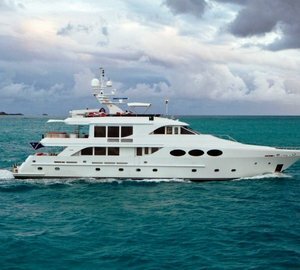 This 37 metre (120 foot) luxury yacht was created by Pj vannah (Formerly Intermarine vannah) in 2002. Motor Yacht CHOSEN ONE is a well proportioned superyacht. The naval architecture office responsible for her drawings on this ship was Intermarine and Luiz De Basto Designs. This boat's interior design and styling was the brain child of Luiz De Basto Designs / Susanne Skaf. Luxury yacht CHOSEN ONE is a good looking yacht that can accommodate a total of 8 passengers on board and has approximately 5 crew. Intermarine was the naval architecture company involved in the professional nautical design work for CHOSEN ONE. Also the company Intermarine and Luiz De Basto Designs skillfully collaborated on this undertaking. Interior designer Luiz De Basto Designs / Susanne Skaf was selected for the overall interior styling. the United States is the country that Pj vannah (Formerly Intermarine vannah) built their new build motor yacht in. After her formal launch in 2002 in Savannah Ga she was then passed over to the happy owner after sea trials. A reasonable proportion is manifested with a total beam (width) of 7.62 metres / 25 ft. With a 2.1m (6.9ft) draught (maximum depth) she is reasonably shallow. The material composite was used in the building of the hull of the motor yacht. Her superstructure over the hull is built out of composite. In 2006 extra refitting and updating was additionally finished. The 16V 2000 M90 engine installed in the motor yacht is made by MTU. For propulsion CHOSEN ONE has twin screw propellers. The main engine of the ship gives 1800 horse power (or 1325 kilowatts). She is equiped with 2 engines. The sum thrust for the boat is therefore 3600 HP or 2650 KW. Providing quarters for a limit of 8 visiting passengers staying on board, the CHOSEN ONE accommodates them in style. Under normal conditions she has room for approx 5 professional crew members to run. 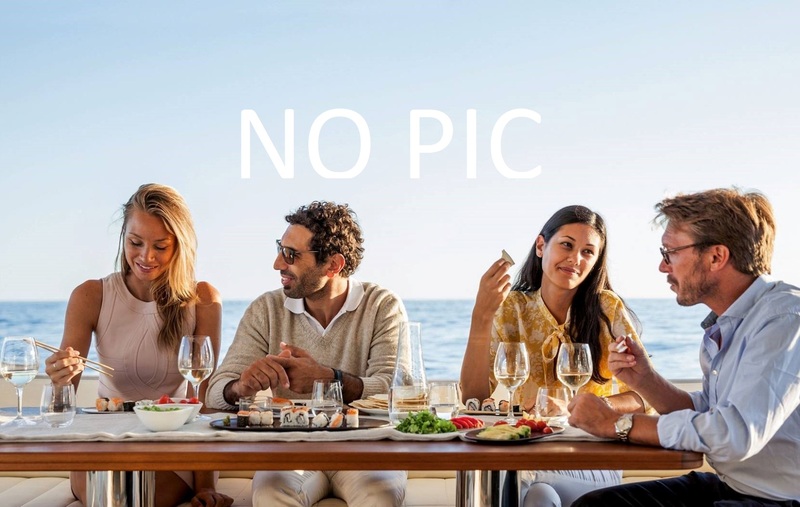 The luxury yacht CHOSEN ONE displayed on this page is merely informational and she is not necessarily available for yacht charter or for sale, nor is she represented or marketed in anyway by CharterWorld. This web page and the superyacht information contained herein is not contractual. All yacht specifications and informations are displayed in good faith but CharterWorld does not warrant or assume any legal liability or responsibility for the current accuracy, completeness, validity, or usefulness of any superyacht information and/or images displayed. All boat information is subject to change without prior notice and may not be current.